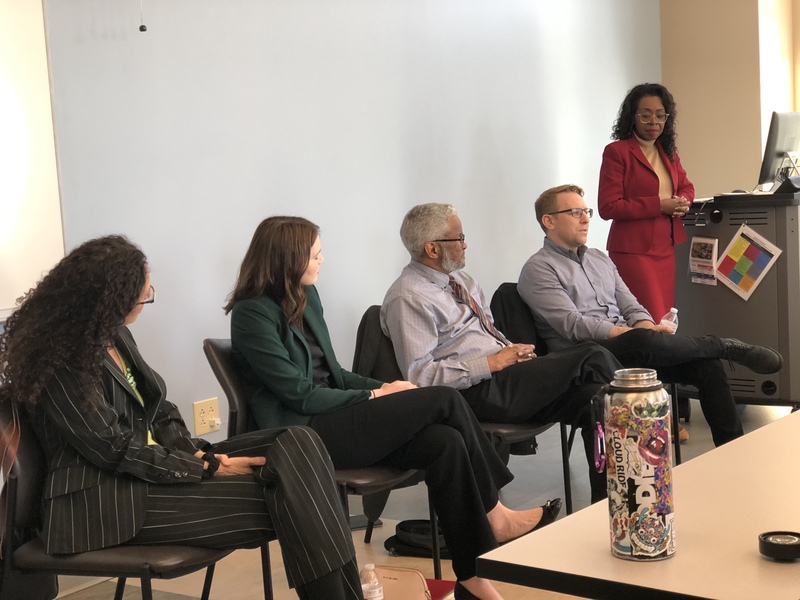 The Curb College of Entertainment and Music Business hosted its annual “All the Things You Can Do with a Law Degree” program for Curb College students. This year’s panel included an impressive roster of legal experts including Rick Marshall, Warner Music Group; Judge Richard Dinkins, Court of Appeals; Molly Shehan, Milom Horsnell Crow Kelley Beckett Shehan; and Linda Edell Howard, Adams & Reese. The program was moderated by Curb College Associate Dean Cheryl Slay Carr, who developed the program to inspire students to think creatively about contemplating legal careers. Assistant Professor Amy Smith coordinates the program and provides information about it to students, particularly music business majors who choose the legal studies emphasis, though the convocation is open to all interested Belmont students.